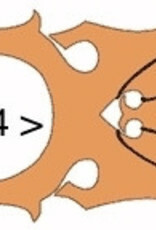 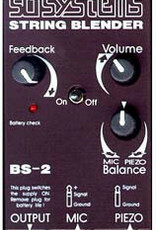 Both signals of a piezo element (PU-4 or the one you're using already) can be mixed with the BS-2 type pre-amp: it has a piezo input and a mic input with adjustable volume for both piezo and mic, a balance control between the piezo and mic, tone controls (anti-feedback), stand by switch, battery check, and a line-level output. 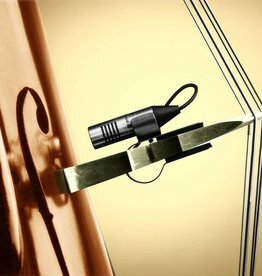 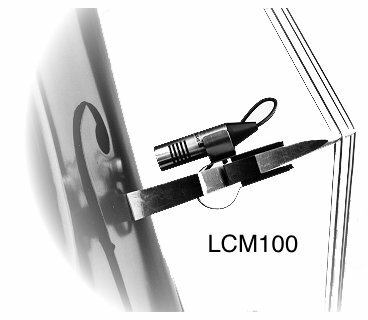 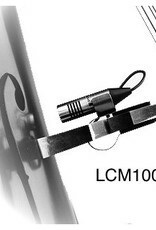 LCM102: Together with the authentic acoustic sound of the LCM100 the combination with PU-4 and BS-2 will give you the most perfect bass sound you ever can get! 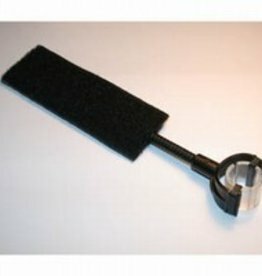 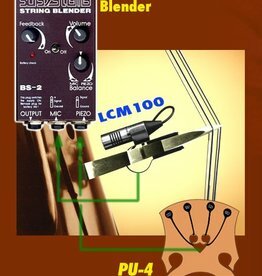 Mic system for double bass including blender and piezo system. 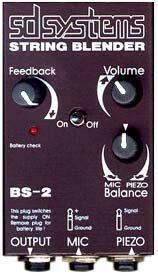 Picking-up acoustical sound and contact sound that can be mixed with our BS2 Blender.